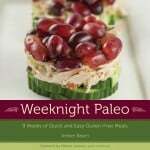 Amber Beam is the author of Weeknight Paleo: 9 Weeks of Quick and Easy Gluten-Free Meals. She develops (and devours) quick, easy, and tasty recipes that follow a grain-free, gluten-free diet. She enjoys spending time with her husband and English Bulldog, watching James Bond films, and occasionally treating herself to extraordinary chocolates. October Unprocessed is an opportunity to examine your food beliefs. To ponder, what is good food? How do I know this is good for me? Reflection, examination, and decision are required nearly 200 times a day to make decision about food. Are you making the right choices? It’s overwhelming, borderline hysterical, the amount of food-related information thrown at the average consumer over the course of the day. We hear so many mixed-messages about fat, calories, and carbs every day, it’s dizzying. So how are you supposed to make the right decisions? 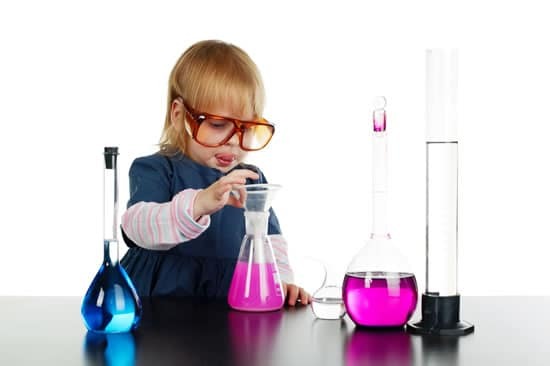 Become a not-so-mad scientist. No fancy degree required, simply volunteer to be the sole participant in a diet experiment – your diet experiment. In the world of statistics n represents the number of participants in a scientific experiment (i.e. n=30 means 30 people will be treated in the experiment). In the Paleo community, n=1 symbolizes a personal decision to experiment with dietary and fitness changes. As a not-so-mad scientist performing a diet experiment, you are the only subject and therefore, only your results matter. Let’s be honest, that’s why you try a new diet to see if it will work for you. If n=1 and you are the only participant in the experiment, you can determine what makes you feel your best. You don’t have to wait on Harvard medical practitioners or the FDA to invite you to participate in their studies to know if a change in your diet will make your health better. 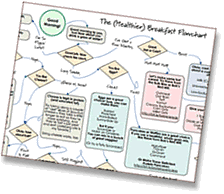 Acting as a scientist, you can modify your diet and test theories for yourself. Start by asking questions, like what foods make you feel bloated and sluggish? Do you experience sugar crashes after eating processed food? Do you tolerate dairy with ease or pain? Can you see the effects of gluten minutes after you’ve swallowed the first sip of beer? In an n=1 experiment, you can determine the best diet for your body. The October Unprocessed challenge is an optimal time to test the effects of processed foods on your health. By cutting out processed foods, you can recognize the benefits of this change and trust the results because it’s your study. I bet after just a few weeks, you’re already feeling better. Maybe experiencing less sugar crashes? Better digestive health? More restful sleep? When I went Paleo (a diet that eliminates sugar, dairy, soy, legumes, and grains), I noticed some amazing changes. I lost weight, slept better, had fewer sugar crashes, and uncovered glowing skin – honestly a stranger commented on my skin! I finally realized the connection between the food I put in my body and how I felt. I made the association between a set of raw ingredients and a nourishing meal. In fact, I finally stopped blaming myself for the diet roller coaster I’d been on and accepted that real food – fruits, vegetables, and protein – were the source of better health for me. My experiment also opened my eyes to the need to change my eating habits, my expectations, and my attitude. If I wanted to be as amazing as I could be, I had to embrace this unknown world of unprocessed food and do something completely different – cook my own meals. I could no longer be dependent on take-out, frozen meals, or delivery. I needed to eliminate processed foods, eat real foods (food with a shelf life of 7-10 days), and learn to cook. I had to take responsibility for my health and well-being. I spent the larger part of last year teaching myself to cook. I learned some pretty valuable short-cuts along the way, and was so inspired by my success that I wrote a cookbook for people who eat real food but live hectic 21st century lives. Although I have a chaotic corporate job, a hair-raising commute, and an exhausting list of domestic responsibilities, I know I’m my best when I cook and eat real food, so I make it priority. It’s not always easy, but I know it works for me. I exited the diet roller coaster, taught myself to cook, found the strength to trust my instincts about good food, and hold myself accountable to the highest standards – my own. What will you find in your n=1 experiment? I challenge you to test everything you think you know about food. Become a not-so mad scientist and find the foods that make you feel your very best. One of my most helpful short-cuts, is something I call This, then That. I transform one ingredient into two distinct dinners. Cooking a double batch of a key ingredient (e.g. pulled pork) once during the week gives you a head start on the second dinner days before the meal is ready to be served. For instance, my Slow-Cooker Pulled Pork can be reused later in the week in this amazing Carnitas-Style Taco Tower. I stretch the hands-on work of one meal into two! To make the Sassy Coleslaw, combine orange juice, lime juice, red onion, garlic, cilantro, honey, and oil in a food processor and blend until smooth. Season vinaigrette with salt and pepper. Place coleslaw in a large bowl and toss with the vinaigrette. Let sit 30 minutes in the refrigerator before serving. Combine avocados with lemon juice, Dijon mustard, salt, and pepper, mash with a fork initially then switch to a whisk, whipping the avocado until it becomes smooth, about 1 minute. Assemble the taco tower using the form. Fill 1/3 of the form with coleslaw, and tamp down to secure. Then add leftover pulled pork to fill 2/3 of the form. Tamp down. Finally top with the avocado cream. Remove form and repeat with other servings. 3 1/2-inch tall food ring mold. It’s been amazing to me on my ‘real food’ journey to realize how little I understood or paid attention to my own body. It makes a huge difference when you just start listening to it! Loving your cookbook Amber – and thanks for the great post for October Unprocessed! I agree with about 90% of this article, but it leaves out the effects of die-off and that awful debilitating feeling some people experience when they make major changes to their diet. We do the GAPS diet in our home, and now that we stick to it, I absolutely have more energy, feel more alert, and feel sluggish and awful if I eat something processed. But it took me a bit to get over the initial changes, and if I wasn’t expecting them I may not have stuck with it, especially as I experienced withdrawal from the “Yeast Beast” (worst sugar cravings EVER!!). But knowing it was going to happen was part of listening to my body, too.